The rotation of a magnetic dipole in an oscillating magnetic field varies from stable oscillations to chaotic motion, depending on the system parameters. 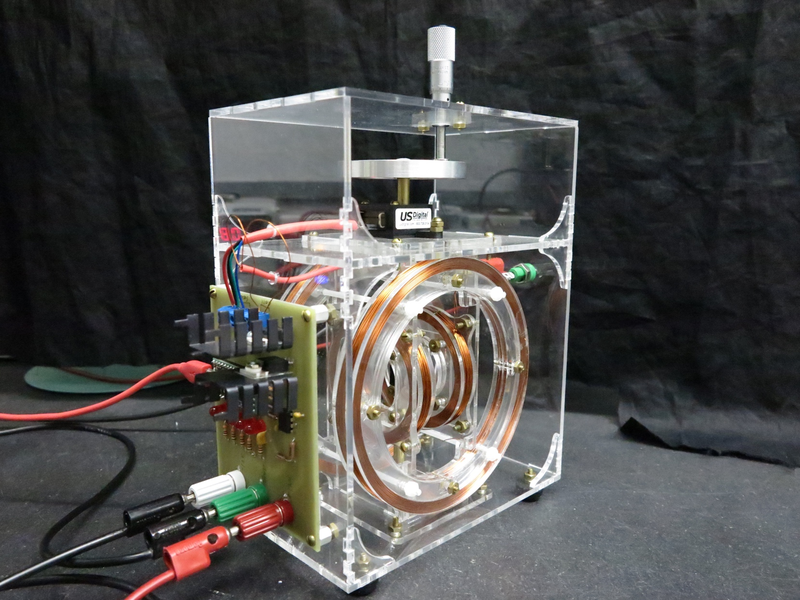 The Mechanical Chaotic Oscillator developed at CSU-Chico allows complete control of all system parameters, and can be used for high-resolution studies of chaotic motion, phase space diagrams, Poincaré plots, and observations of bifurcations on the path to chaos. This particular chaotic system is analogous to a circular pendulum with an oscillating horizontal component of gravitational force. Participants should bring their lab notebook and a flash drive. Laptops are optional; participants may find it useful to get things working on their own computers, although computers will be provided here also. There are no safety concerns, other than the usual hazards associated with soldering, solvent-welding, and using a lathe. The apparatus can be built for less than $300, if the necessary tools (i.e. laser cutter) are available at the home institution.